If you don’t raise your own fiber and you want to spin, you can purchase wool this way. 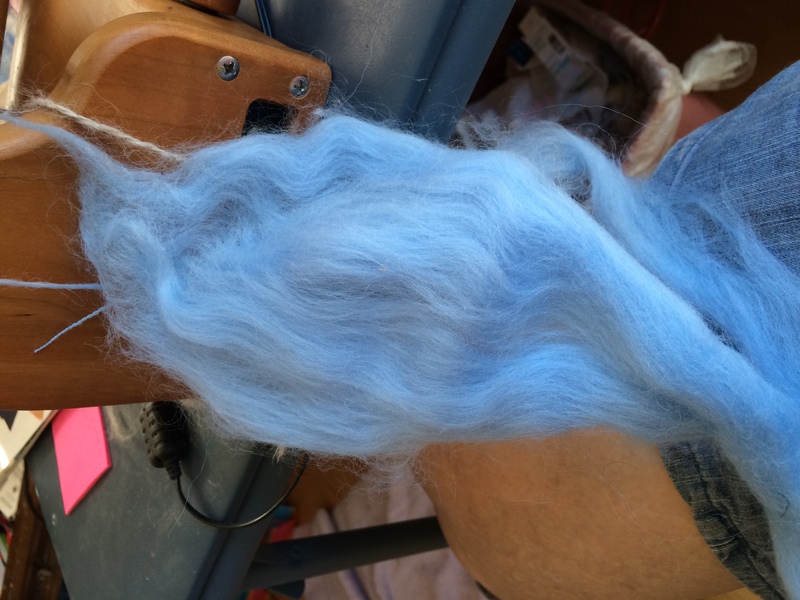 It is called roving and is the top 1% of Merino wool, which makes it very soft. 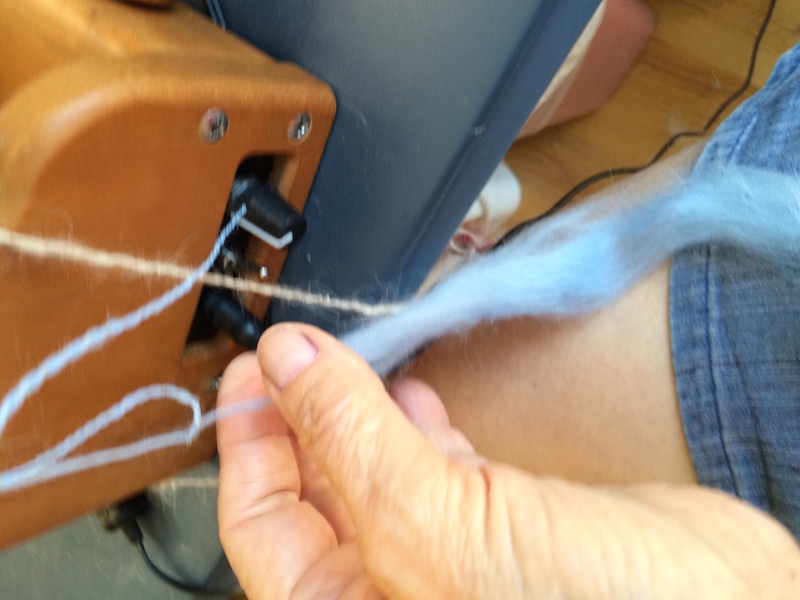 the fibers pulled apart from top to bottom – so they separate somewhat, but are not pulled apart. 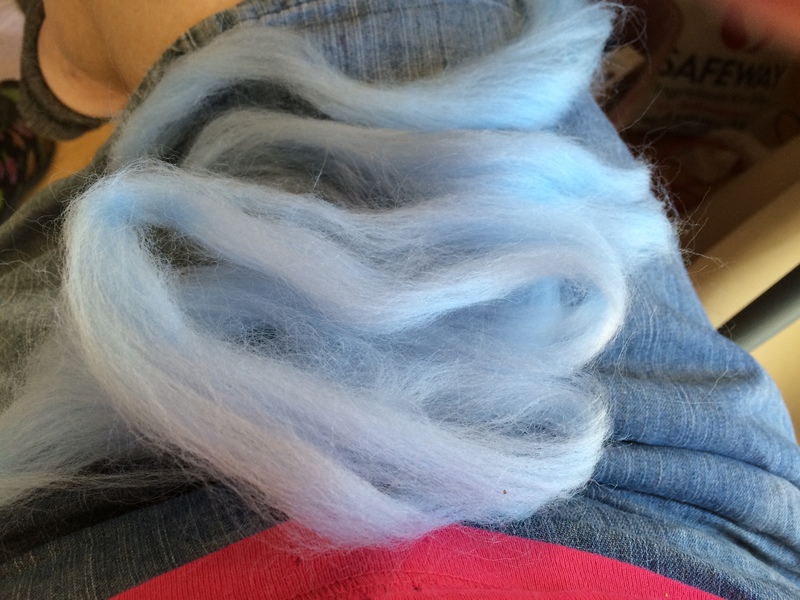 Then I elongate them so that I have a fairly small diameter in my hand while spinning. 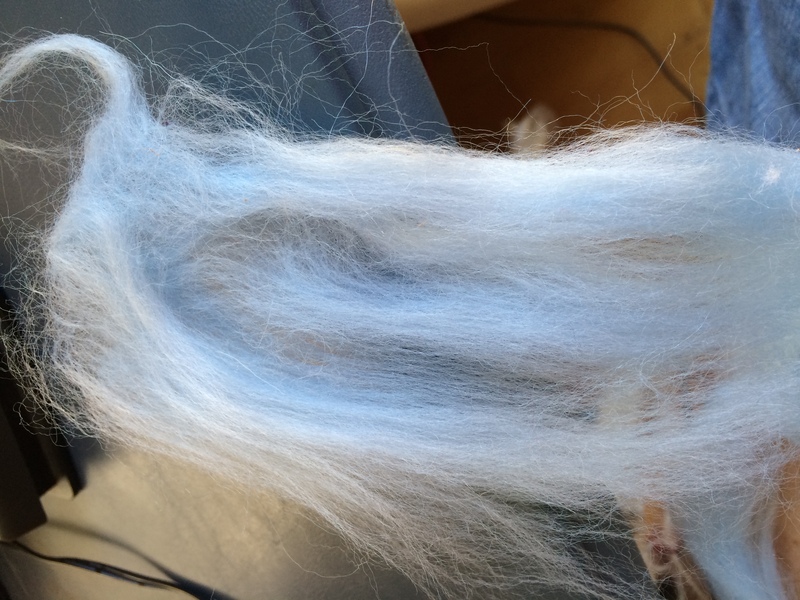 A two foot piece of roving can keep me spinning for a long time. I did not measure before I started, but I bought a pound which is enough for a sweater. 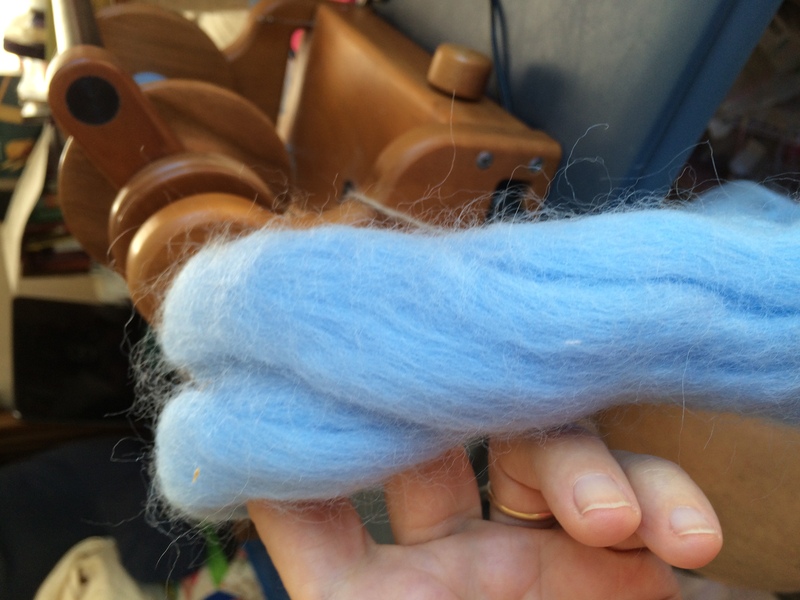 I’ve been spinning on this in odd moments and have about 6 feet of roving left to spin. Then it all needs to be plied. At some point, I will be choosing a sweater pattern. The news had a bit of weather forecast from the Old Farmer’s Almanac. In the PNW, I’m supposed to gear up for snow from mid Dec through mid January and then again mid February until the end. I so hope it is wrong. But I find that it is usually more on than off. For the rest of the country it is forecasting a lot of snow and cold unless you are in California. Then you get early bad weather followed by drought again. I really think the weather for most of you could be improved upon. This computer is going in to get a new hard drive tomorrow. I’m hoping to be up and running by tomorrow night, but if not, that is the reason. I spent about 6 hours today, making sure that everything was backed up and it is possible I still missed some.